Herbert Layton Burgess, 90, passed away August 3, 2018 at Mercy Hospice in Johnston with loved ones at his bedside. He was born November 1, 1927, in Marquisville, Iowa, to his parents Alfred and Maude (Boline) Burgess. Upon graduation from Woodside High School in 1945, Herb was drafted into the United States Army. He was sent for duty to the Pacific and conducted his service in Japan in 1945-1946 at the completion of World War II. In 1949, Herb met JoAnne Winegardner, an Ankeny High School graduate, on a double date and never looked back. Two years later, Herb and JoAnne were married August 18, 1951, at the Congregational Church in Ankeny, Iowa. In their nearly 67 years of marriage, they raised three beautiful daughters at their lifelong home in Saylor Township. Most of Herb’s working career was with John Deere Ankeny Works where he spent 27 years as a machinist. Upon retirement in 1990, he and JoAnne devoted time to overseas travel, visiting the British Isles, France, Germany, Austria, Switzerland and Italy, and enjoyed several bus trips crisscrossing the United States to favorite locations. Other travel was devoted to family, visiting children and grandchildren in Overland Park, Denver and Wisconsin. Herb enjoyed spending time with his family and his many friends from work, golf and his devotion to the Boline-Manfredi VFW Post 9662, just north of Des Moines. A quiet and unassuming man, he was affectionately known by his friends as the Mayor of Marquisville for his knowledge and recall of all historical events and activities in this old coal mining community which brought his father Alfred to Iowa in the early 1900s from Sunderland, England. Herb was a voracious reader of all things history, geography and the Bible. There wasn’t a trivia question that would be left unchallenged and known by Herb. 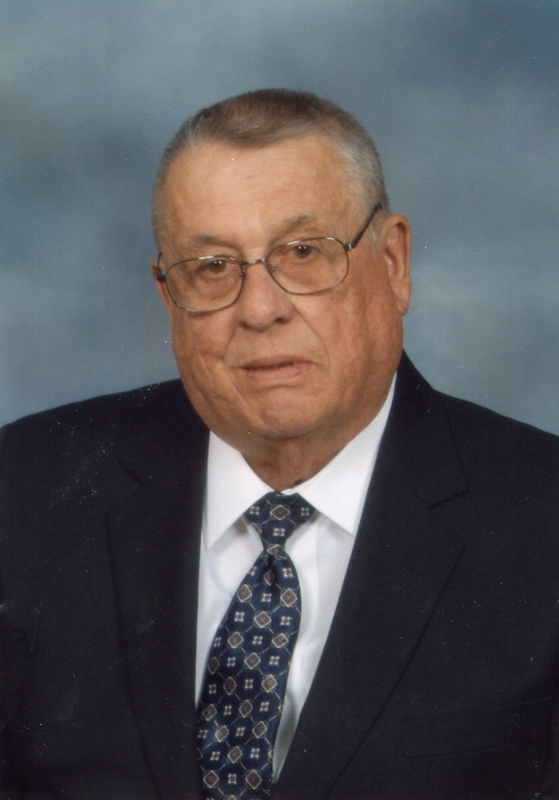 Herb was a faithful member of Grandview Lutheran Church. Along with his brother Harry, he was a founding member of the Boline-Manfredi VFW Post 9662 and served as its commander in 1982-1983. He also belonged to the Polk City American Legion and the Eastgate Masonic Lodge. He was a regular in the VFW and John Deere golf leagues. Herb was preceded in death by his parents, daughter Carol, granddaughter Michelle, sisters Margaret and Norma, and brother Harry. He is survived by his wife JoAnne, his daughters Vicki (Patric) of Overland Park, Kansas, and Lynn (Marv) of Centennial, CO. He is dearly loved and will be missed by his 9 grandchildren and 3 great grandchildren. In lieu of flowers, the family requests that memorial contributions in his name be made to Grandview Lutheran Church or Boline-Manfredi VFW Post 9662. The family extends its heartfelt thanks and appreciation to the staff of Mercy Hospice for its special care of Herb at home and in Johnston during his last days on earth. Visitation will be conducted Wednesday evening, August 8, at Hamilton’s Funeral Home North, 121 NW 60th Avenue, Des Moines, from 5 to 7 p.m. Funeral services will be held at 10 a.m. Thursday morning, August 9, at Grandview Lutheran Church, 2930 E. 13th St., Des Moines. Friends are also invited to join the family for a luncheon and celebration of Herb’s life to follow at the Boline-Manfredi VFW Post, 1309 NE 66th Avenue, Des Moines, from 12 to 3 p.m.